Net income has decreased by 80 percent for the Green team. 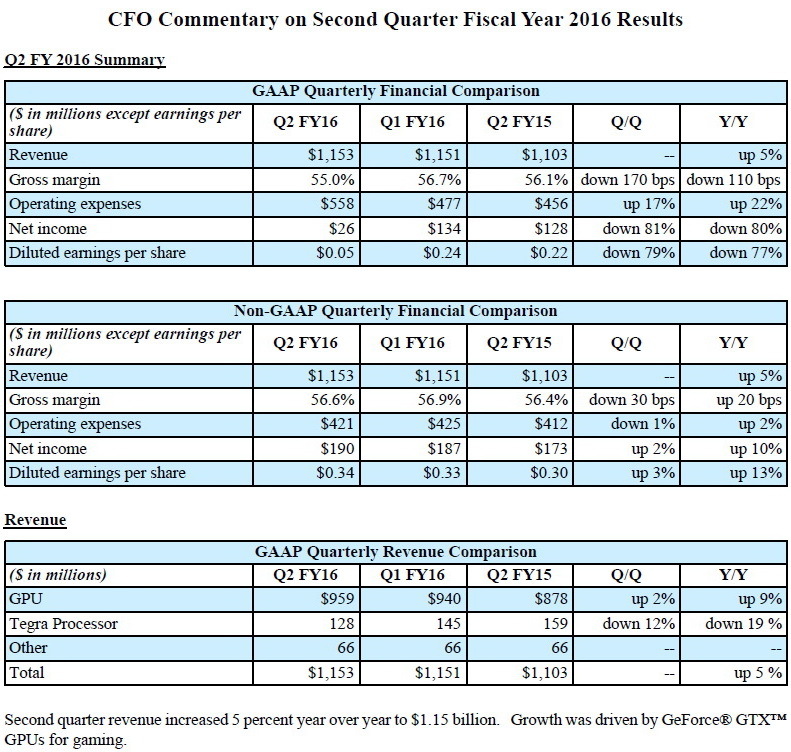 Nvidia has released its financial details for Q2 FY2016, which ended on July 26, 2015. Overall sales have increased during the quarter compared to the same quarter last year by roughly 5 percent from $1.103 billion to $1.153 billion USD. 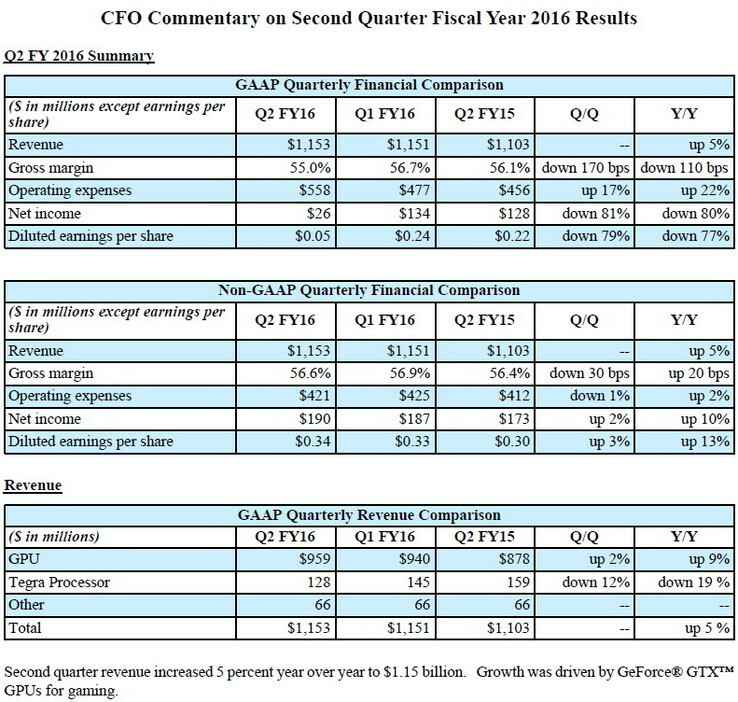 In return, however, net profits have plummeted by 80 percent from $134 million USD in Q2 FY2015 to just $26 million in Q2 FY2016. Operating costs have increased by over 22 percent to $558 million from $456 million the same quarter last year. $89 million went to the Icera modem division restructuring and another $24 million to the legal battle against both Samsung and Qualcomm. 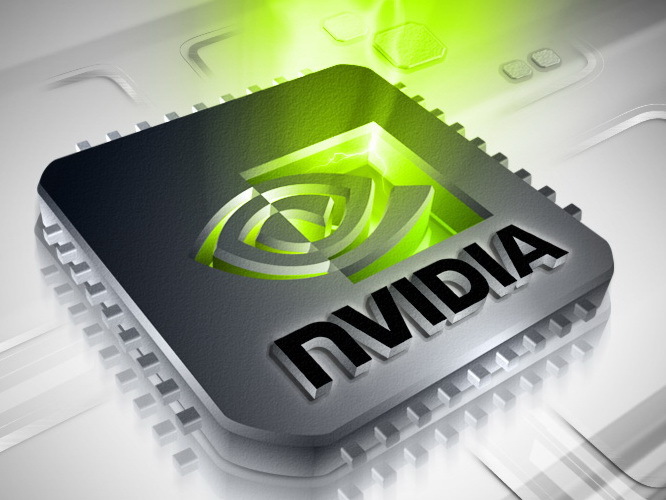 The recent Shield Tablet fire recall also had an effect on Nvidia's bottom line. The consumer GPU division performed very well with unit sales up by 51 percent to $959 million. This is compared to $878 million in sales the previous year. According to Nvidia, high-end GPUs are experiencing this year. In comparison, revenues from business GPUs like the Quadro, Tesla, and OEM branches have been in decline. Tegra sales have also declined by 19.5 percent from $159 million to $128 million.